Can't get enough? 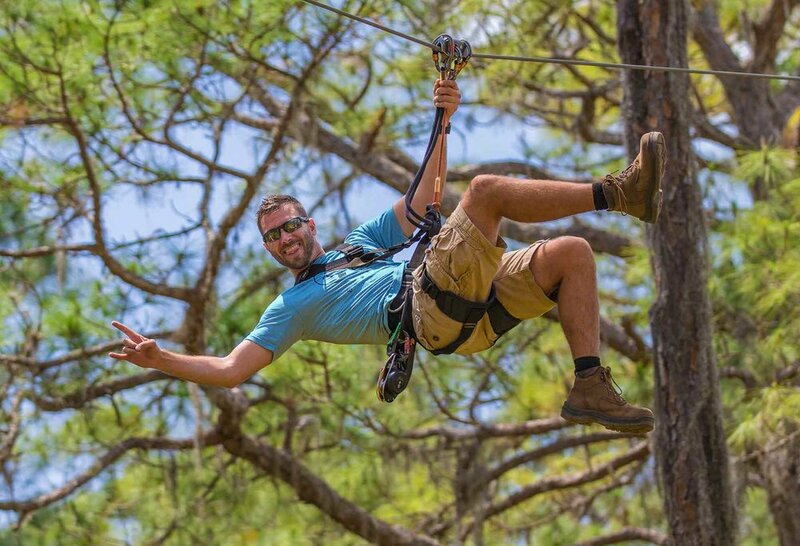 Enjoy adventure all year long at TreeUmph! Adventure Course in Bradenton. This discounted Annual Pass is only available for those that climbed today. Pay monthly for your Annual Pass. Monthly payments will be $13.38 and will automatically be charged on the 1st of every month. Your first monthly payment will be due at the time you purchase your pass, and we will automatically charge the remaining payments on the 1st of every month. The total price for the Annual Pass with monthly payments is $160.50. If you would like to pay monthly for your pass, please fill out the form below and one of our Guides will contact you to assist you with setting up your automatic payments. Please note that your pass will NOT be valid until you speak with a Guide and he/she confirms that the payments are confirmed. One of our Guides will call you to assist you with setting up your automatic monthly payments. Please let us know the most convenient time for us to call. By checking this box, you agree to the following terms and conditions: >> Not valid for special events. >> Non-refundable, Non-transferable. >> Annual Pass and valid photo ID must be presented at the ticket window in order for ticket to be issued. >> Pass is good for any ticket (Adult, Junior, Child, College, Senior) and based upon age, reach height and chaperone requirements. >> Climber must meet Age, Reach Height and Chaperone requirements. >> Reservations are highly recommended and are based upon availability. >>Valid for Adventures at our Bradenton location only >> Annual Passes are not valid on the following dates: Nov 23, 2018 - Nov 25, 2018; Dec 22, 2018- Jan 6, 2019, March 16, 2019 - March 31, 2019, Nov 29 - Dec 1, 2019. Updates for dates after Dec 1, 2019 will be posted on www.treeumph.com when available. Payment terms : >>The first of 12 equal payments will be made on the purchase date. The pass will be created within 48 hours and mailed USPS. We cannot assure delivery time or date. >>Subsequent payments will be processed automatically on the 1st of the month for 11 months. >>The purchaser will be responsible for all 12 payments no matter the frequency of use of the pass(es). >>If in the event the credit card on file does not process for any reason, the purchaser will be sent an email and if the issue is not corrected within 72 hrs, the Annual Pass will be voided and will be unable to be used for future reservations and previously paid monies will NOT be refunded. >>TreeUmph! Adventure Course DBA Forward One LLC retains the right to charge the remaining balance on the purchase at anytime in the 12 months. By entering your name, you agree to all the terms and conditions listed above. Thank you! One of our guides will be in touch with you to set up your Annual Pass Payment Plan.